← The Class of 2k13 Takes Chicago! So, this is it! 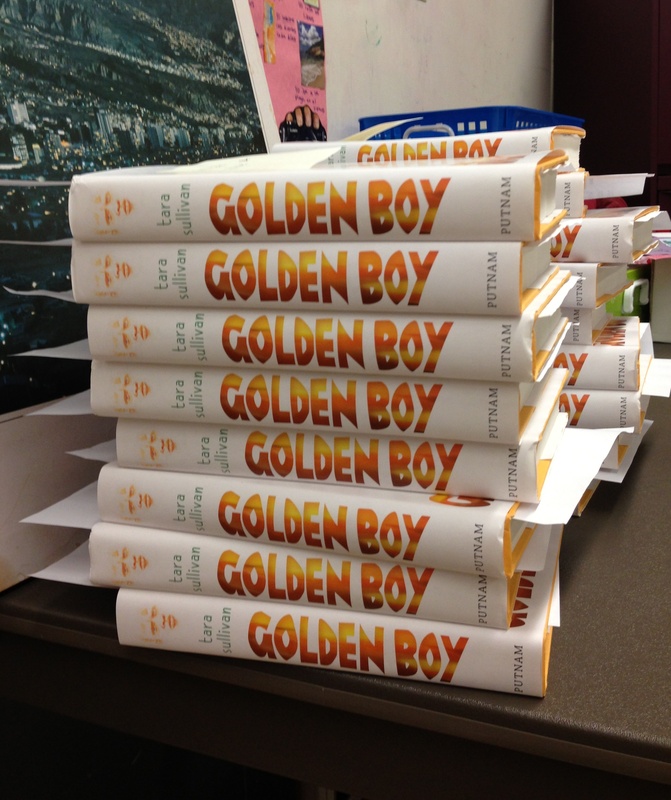 After almost four years of writing, traveling, editing, and waiting, GOLDEN BOY will actually be offered for sale in bookstores starting today. It’s officially a book. I can’t tell you how excited I am! In just a few hours I’m off to Porter Square Books in Cambridge for my launch party (more on that in an upcoming post) and then I’m off to the American Library Association (ALA) conference in Chicago tomorrow morning. Things are really taking off for GOLDEN BOY! Thursday 6/27, 7:00 pm: Launch Party @ Porter Square Books, 25 White St., Cambridge, MA 02140. More, more, more! We present another wonderful batch of young adult authors this afternoon including: Annabel Pitcher (My Sister Lives on the Mantlepiece), Marcus Sedgwick (Midwinter Blood), S.A. Bodeen (The Raft), Sara Zarr (Lucy Variations), Tara Sullivan (Golden Boy), and Matthew Quick (Boy 21). Join us for young adult fiction at its best. This entry was posted in Albinism, Interesting People, My Crazy Life, Travel, Writing. Bookmark the permalink.